Looking for a mash up of art, fashion, toy’s and unique tee’s? Don’t miss the grand opening of the Black Market Caviar Designer Shoppe this Friday Dec. 4th from 6 p.m. to 10 p.m. at 1945 W. Chicago Ave. There will be music by DJ Skyler, The lovely Black Market Caviar Agents (models), door prizes and 60 lucky guests will get the opportunity to screen print their very own exclusive Black Market Caviar t-shirt. 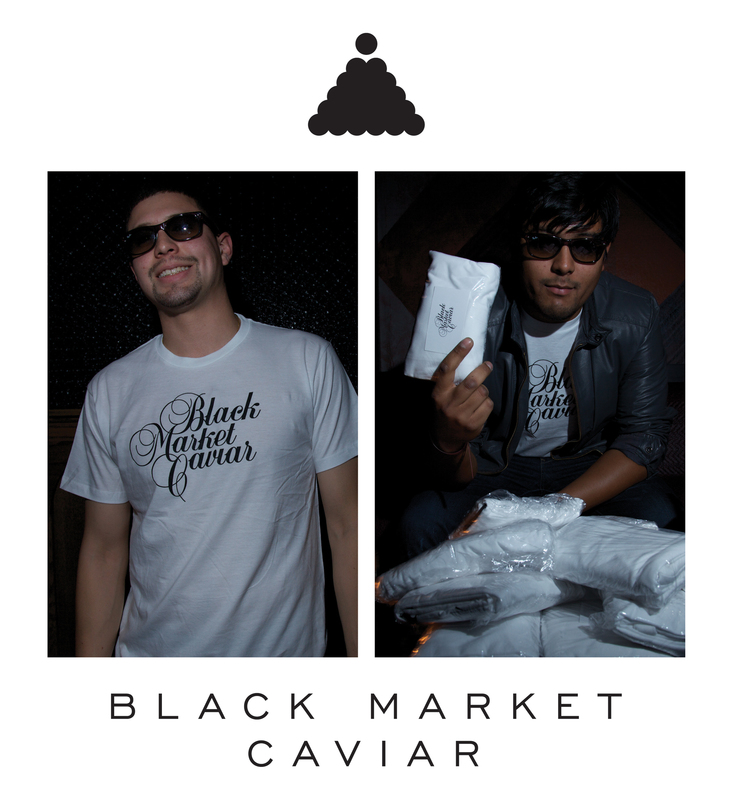 The brainchildren behind Black Market Caviar are brothers Brian Lopez and Marco Hafid Lopez from Humboldt Park. Collectively the duo’s dossier is impressive. They have designed everything from toys, shoes, and apparel while continuing to create fine art as well. Brian has painted murals and designed footwear for Shorty Capone Fashion Corp. based in Mumbai, India. While Marco Hafid, (Lopez) is currently represented by Linda Warren Gallery in Chicago, and has worked with well-known designers like Ralph Lauren and Diane Von Furstenberg. Much like the innovative spirit of Threadless, a Chicago based community-centered online apparel store run by skinnyCorp, Black Market Caviar continues to harness that same mash-up collaborative energy. “Black Market Caviar is a not just a store but a brand attitude that says we can stay stylish and artistic even in these economically trying times. It’s not about monetary wealth, but a wealth of the spirit, mind and body. It’s about choosing to live rich,” says owner, artist Marco Lopez. The shop offers chic clothing by new designers. Some labels carried are Trash and Luxury, Ryu, Idylle, Ends/Wealth, Plastic Party, Breathe On Apparel and Normal Watches.